BLUE CHOO CHOO: Our train winding its way in to Hatton. 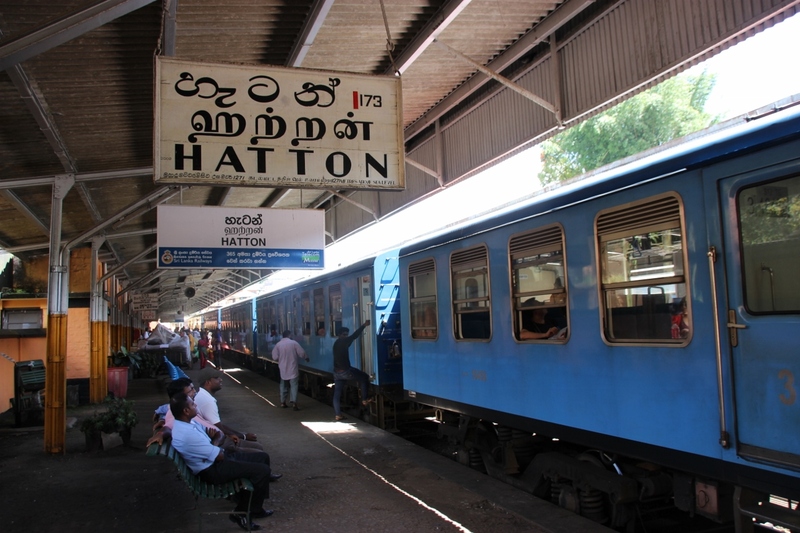 DISEMBARKING: The train moves on from Hatton leaving us behind. Transportation while travelling is something of a romantic ideal to me. Wherever we trip across the globe, I’ll invariably return with a story where the means of getting from one place to the other is the central premise of the tale. It might be the story of the time I ended up on the wrong end of a gentleman’s gastronomical explosion (https://wp.me/p63ErS-2L), or the time that I complained like a toddler about our behaviour during a natural disaster (https://wp.me/p63ErS-5t), either way; the journey is regularly more exciting that the stories we tell of the destination. 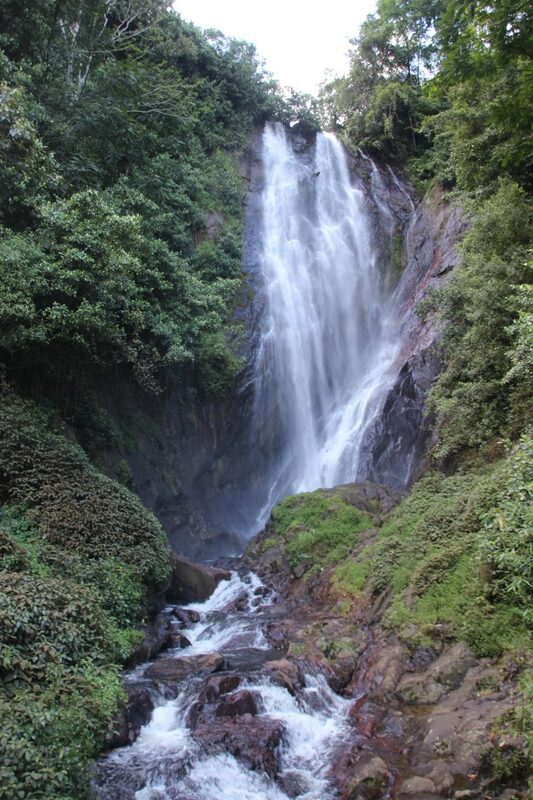 One such adventure that I recall with increasing fondness is the trip we took while in Sri Lanka from an inauspicious train station to the start of an epic ascent of a famous peak. 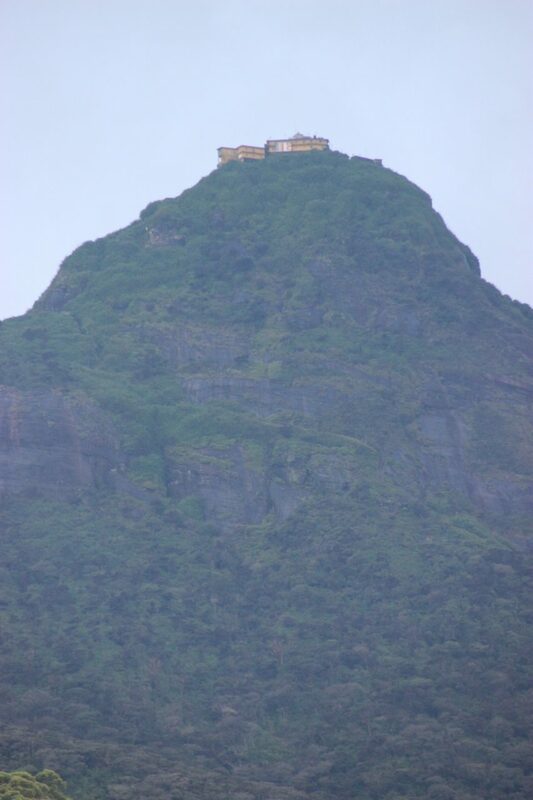 The peak of which I speak is Sri Pada, or Adam’s Peak – a holy pilgrimage in Sri Lanka. The station went by the name of Hatton and was as understated as one could expect for the start of such an adventure. PEARLY GATES: A chapel overlooking one of the lakes on our route. OVERLOOK: Not bad for a final outlook. 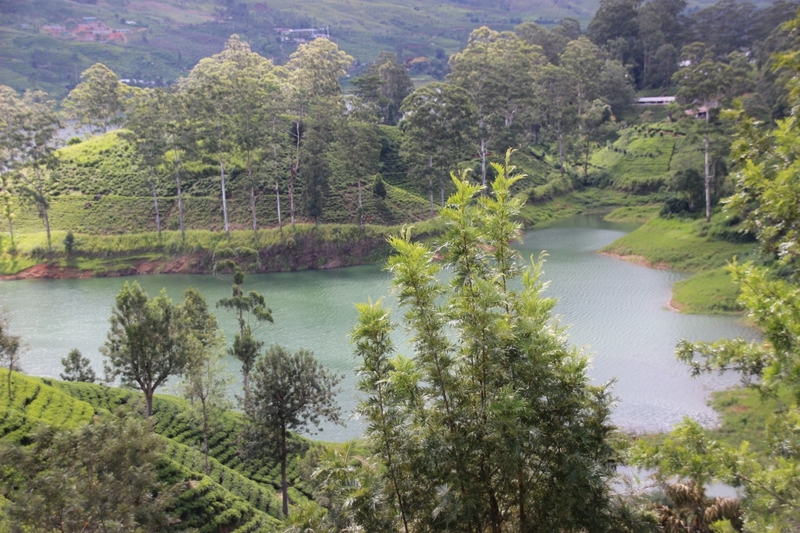 Having boarded our train from the mountain hideaway of Kandy, we had spent about 5 hours leisurely winding through the mountains and tea fields towards the way point of Hatton, all the while feeling the strange mix of cultures that is Sri Lanka. 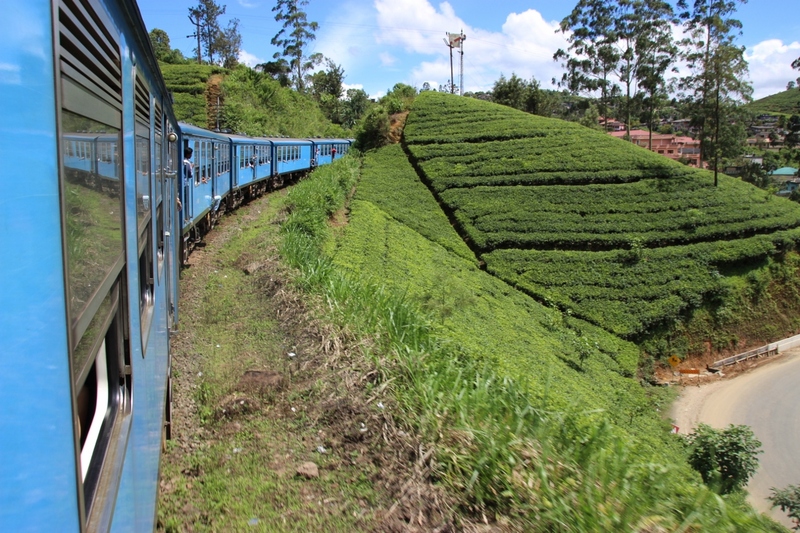 The train wound its way through the mountains and tea fields until we arrived at Hatton station. 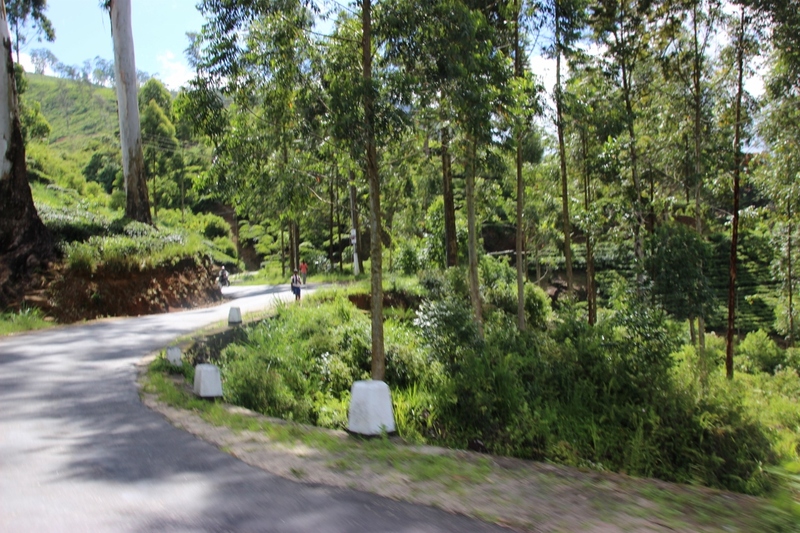 Here we disembarked and began to search for a means of transport that would take us to the staging point of our trip to Adam’s Peak. 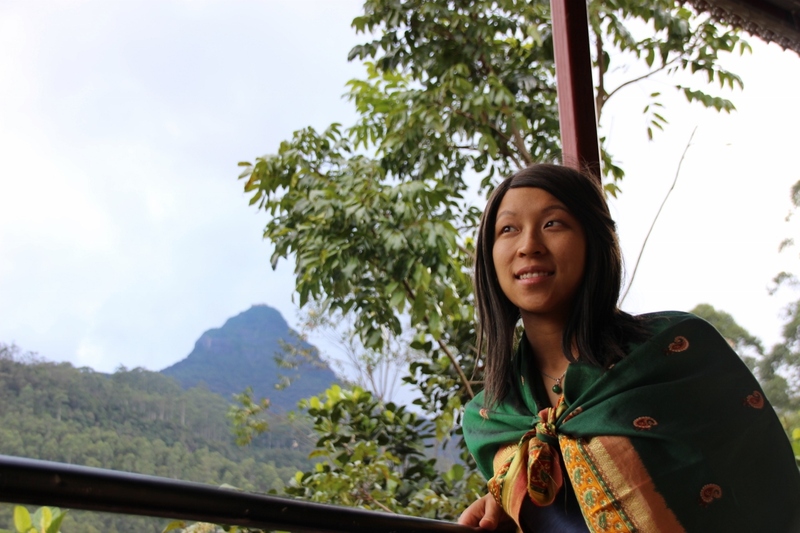 The train continued on towards Ella and the other side of the mountains and left us to change pace. Wandering around Hatton with no plan would have been a pleasant experience in itself if we were not aware that we had a considerable trip still to make before we reached our accommodation for the evening – which we may have neglected to book. We started asking local taxi and minibus drivers who were waiting at the station, but they either wanted too much (compared to our arbitrary notion of what it should cost and how far we had to go) or refused to take the trip because of the distance. We managed to find out that the trip would be in excess of one and a half hours, and we started to worry just a little. Before long though we found a gentleman napping in his Tuk Tuk. As we walked past he stirred from his revere and offered us a ride. 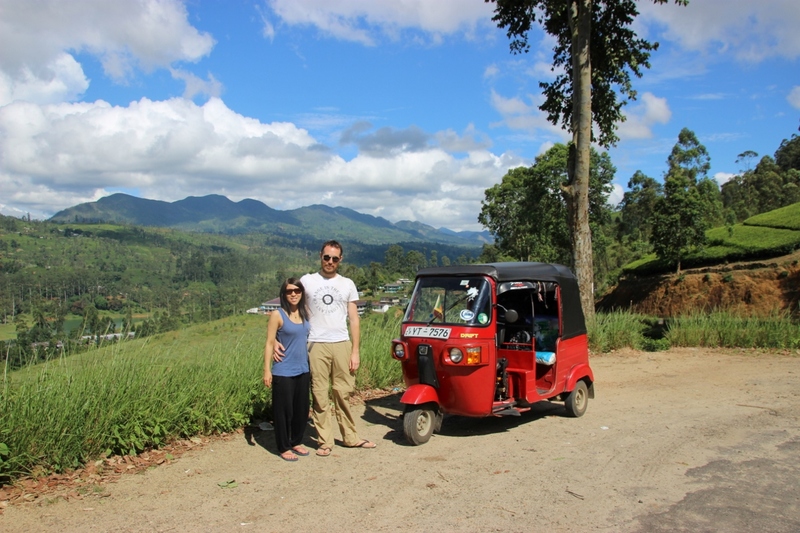 When we identified Adam’s Peak as our destination, he made the customary groans and complaints about distance, but then he quoted us for the ride and we had found our chariot for the afternoon. Assuming the concept of a tuk tuk is not alien to those still reading Einstein’s Barber Shop regularly I’ll dispense with a long-winded analogy of the peculiar little moped, mini hybrid, suffice to say that ours was bright red, mostly complete, and had been capped off with a Drift sticker – presumably to add to the speed, or to cover up a hole. 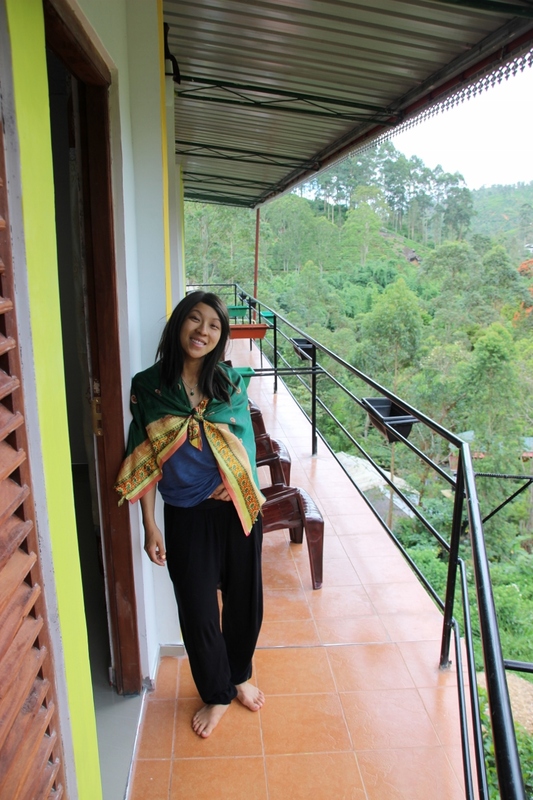 Following a quick cabin tour, we stuffed our bags into the cart and began the climb towards Sri Pada. This method of transport, we were told in short order, was quite common during the pilgrimage season, where a steady stream of traffic made the 2-hour journey between Hatton day and night. The congestion apparently continues right to the top of the peak, with 2-hour long traffic jams at the summit. 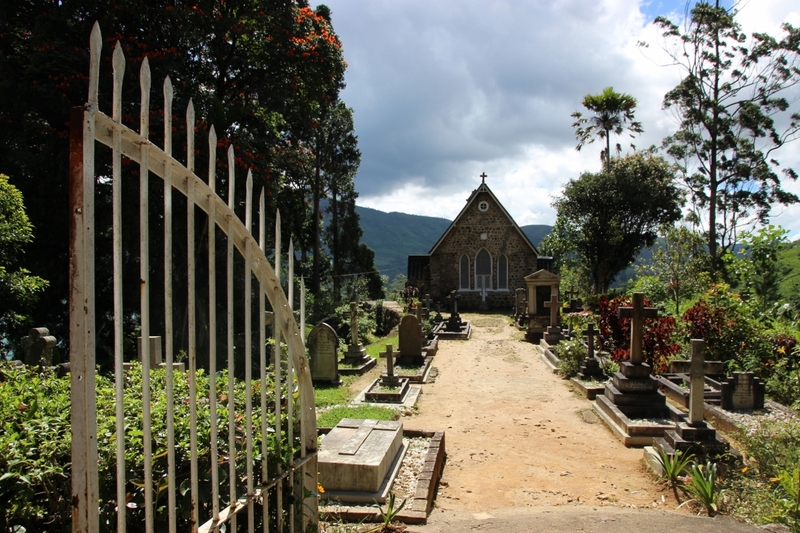 We were in Sri Lanka in September which is conveniently between the two different monsoon seasons and the corresponding high seasons. This day we were nearly alone on the road. 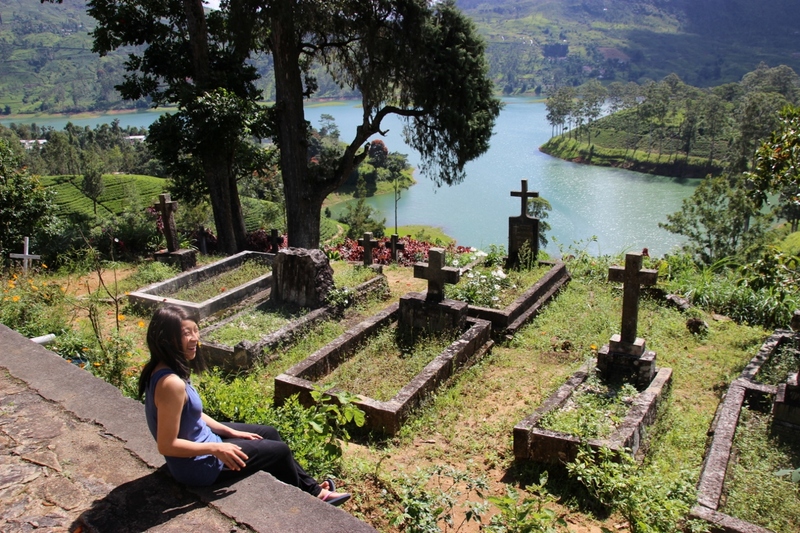 Our first stop was a quaint chapel overlooking a lake, perched on a hillside where we stopped to stretch our legs and take a photo. 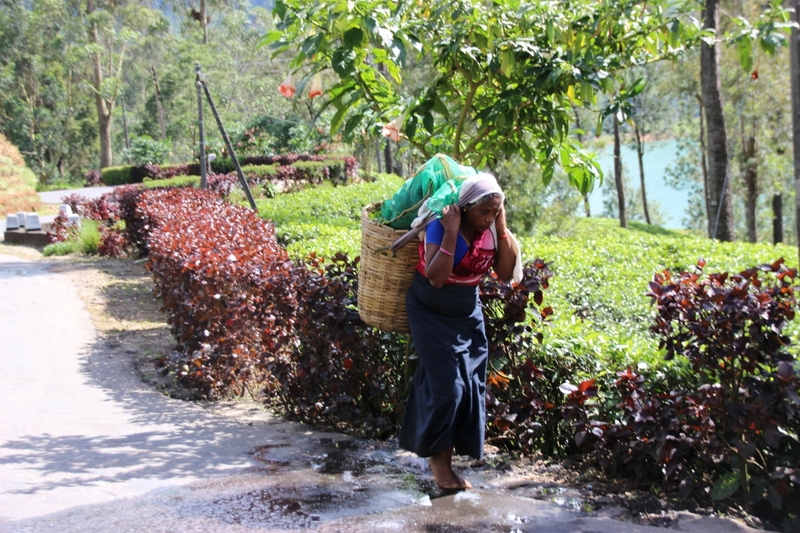 We lingered for a few minutes to enjoy the green rolling hills adorned with tea before continuing in a decidedly upwards direction. 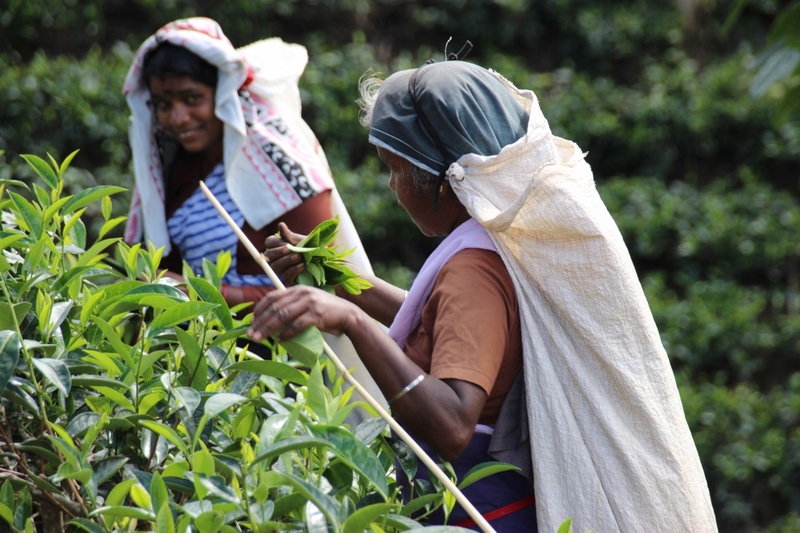 Before long we passed some local plantation workers balancing their loads of Ceylon tea in bags on their heads and were offered the opportunity to take out our camera again. One of the beauties of riding in a tuk tuk is that the speed is low enough to take shots without having to stop. The lack of doors and windows makes a snap and run even easier! 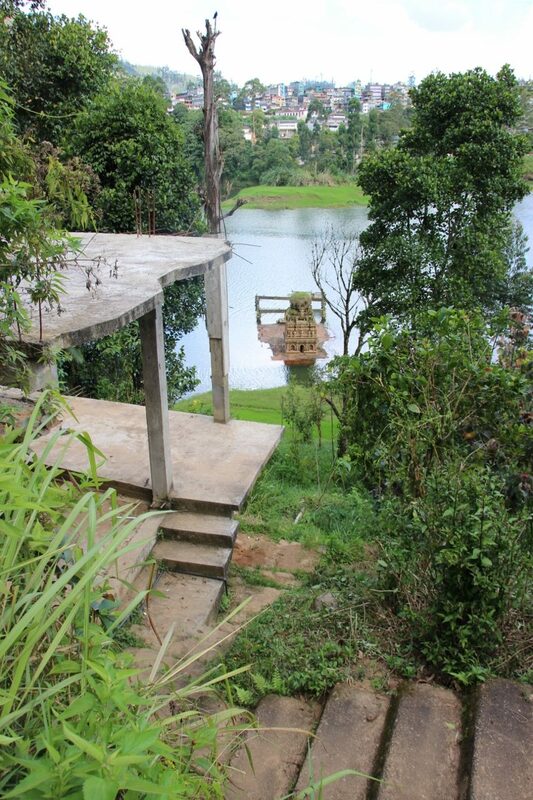 Our next stop was probably our driver’s main photo op on his tourist route, a well-worn siding with a lake to one side and a hillside village behind. 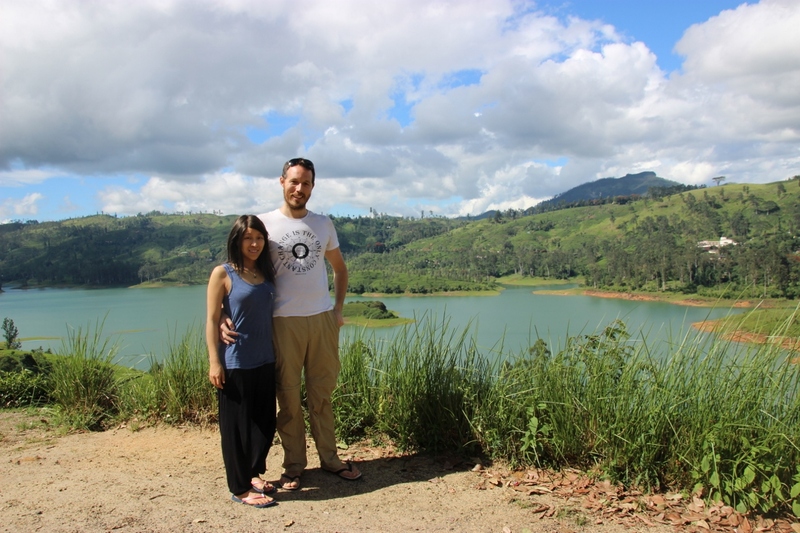 Here he took a photo of Linh and I in front of his vehicle – it’s a photo that I suspect he has taken hundreds of times; but never before with us! 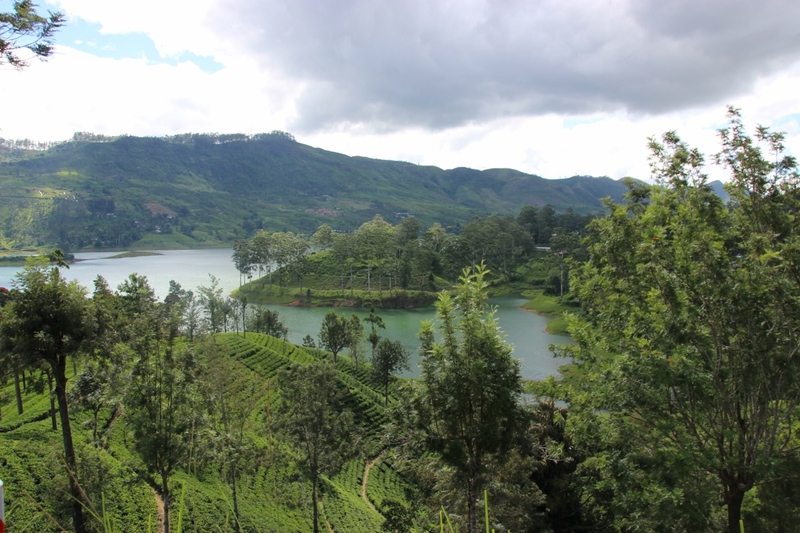 We drove on a little further as our driver told us of the damming of the mountain rivers that created the lakes that followed us as we made our way through the hills. He also shared the story of the town that was swallowed up by the machinations of progress. It was a pleasant enough story until we stopped again and were shown the results first-hand. 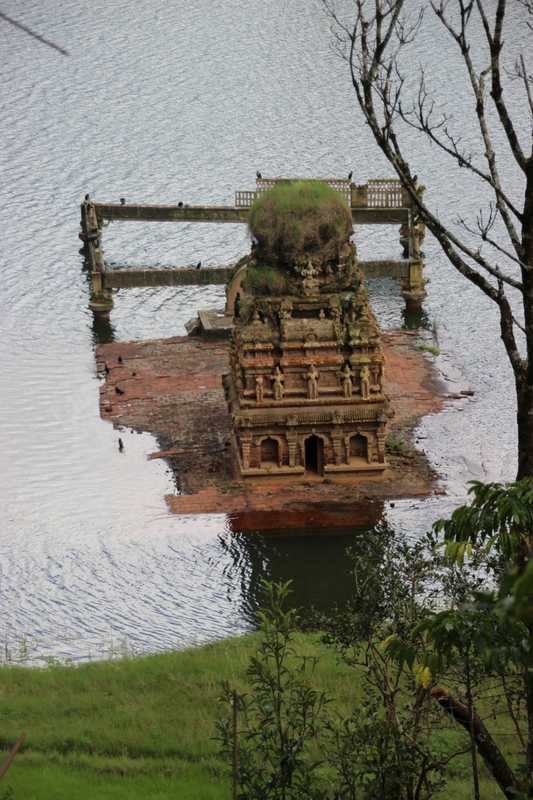 A temple, partially submerged not far from the road. While the water was not clear, it would certainly be an amazing dive if one could find some visibility! EINSTEIN’S DRIVER: Only a brave man gives me control! What happened next, while less alarming than the inundation of a whole village, was certainly a new experience. The driver hopped back in and invited me to take control. He didn’t quite relinquish complete captaincy, but after teaching me the ropes, he did sit back and let me play which was great. The gearing system was different to anything I’d tried before with most of the action taking place through the handle bars. As a motorcycle rider it took a bit of getting used to – particularly for my right foot! BLURRED SPEED: Obviously the terror was too much for Linh and this was the least blurred photo of the ordeal! To read what happened next, click here!